Billy Tice, age 81, resident of Moscow and husband of the late Billie Joyce “Jody” Looney Tice, departed this life Friday afternoon, March 22, 2019 at Baptist Memorial Hospital in Collierville. Funeral Services for Mr. Tice were held at 3 P.M. Tuesday, March 26, 2019 at the Peebles Main Funeral Chapel in Somerville with Rev. David Parlow, pastor of Oak Grove Baptist Church in Moscow, officiating. A private interment will be in the Oak Grove Cemetery at Moscow. Arrangements were provided by Peebles Fayette County Funeral Homes & Cremation Center – Main Chapel in Somerville. Billy was born September 19, 1937 in Moscow, Tennessee, the son of the late John Wesley Tice and Elizabeth McClure Tice. He attended the Fayette County School System and married November 27, 1961 to the former Billie Joyce Looney. He was employed with the road department for the State of Tennessee before his retirement and was a member of Oak Grove Baptist Church in Moscow. Billy will be remembered for being a loving husband, father, grandfather and great grandfather. He loved to go fishing, make people laugh and sit around with his grandchildren telling stories and talking about his youth. 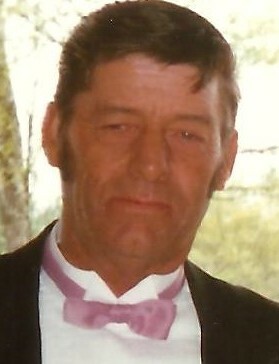 Mr. Tice is survived by his daughter, Teresa Morris (Chris) of Williston, TN; his son, Billy “Buddy” Tice (Lisa) of Moscow, TN; nine grandchildren and eight great-grandchildren. In addition to his wife and parents, he was preceded in death by his son, Daniel “Petey” Tice who died January 12, 1999; two sisters and five brothers. The family requests that memorials be directed to Oak Grove Baptist Church, 1980 Oak Grove Drive, Moscow, TN 38057.